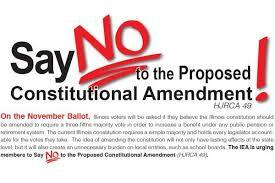 Constitution amendment means that amendment by which the constitution is to amend. When it is deemed to the government that the constitution is required to amend, then by the votes of the two-third Mps of the parliament, the constitution is to amend, which is called constitutional amendment. constitution is the supreme law of the land. Article 47 of the constitution states that constitution is the supreme law and if any law is inconsistent with the constitution, to the extent of such inconsistency shall be void.